• Call to order now with free shipping! The ultimate discreet entertainment system from Sonos. With Sonos' most powerful streaming amplifier yet, paired with their brand new architectural in-ceiling speakers, you can fill your room with breathtaking music and entertainment that is to be heard and not seen. Connect your turntable or another source device to enjoy vinyl, CDs, and music stored on your devices, in addition to streaming. The Sonos Amp has both the brains and brawn necessary to turn your home stereo system into an integral part of your smart home audio system. With a shared commitment to superior sound and great design, Sonos and Sonance have partnered on a collection of architectural passive speakers optimised for Sonos Amp. Power these speakers with Amp, which applies custom digital signal processing for enhanced sound, to enjoy the full Sonos experience, including control with the Sonos app and Apple AirPlay 2. Ideal for ambient listening, these speakers deliver crystal clear sound for comfortable listening from anywhere in the room. Amp unlocks Trueplay™, which accounts for the size, construction, and layout of the room where the speakers are placed and adjust for the best possible sound. The specially-designed round, or optional square, grilles can be painted to match your ceiling. 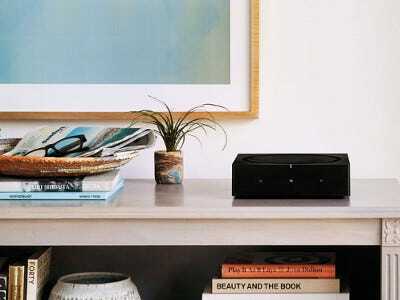 The Sonos Amp is more than just a music streaming amplifier, but a core component of your home entertainment system. Add dynamic and powerful stereo sound to your TV for shows, movies, and games. With such a discreet and streamlined system, it would be a shame to clutter your space with poorly managed cords. A streamlined set of ports at the back of Amp make setup simple and keep your cords organised. The threaded connections for left and right channels are standard diameter so you can remove them and use your own banana plugs. Learn more about the new Sonos Amp. - Line-In Sources Supported: Audio device with analogue RCA output or optical output (optical adaptor required). TV device with HDMI ARC or optical output (optical adaptor required). - Speaker output connections: Banana plugs (2) capable of stereo or dual mono sound. - Adjustable bass and treble controls to optimise sound performance. 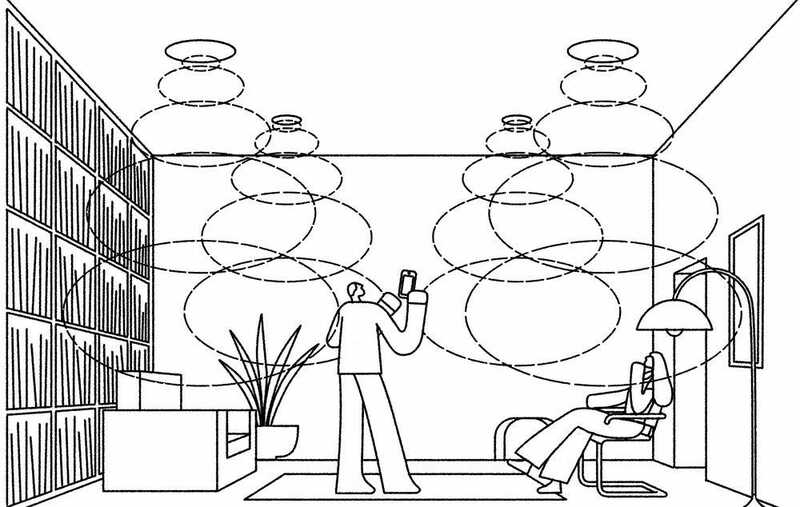 Adjust volume by individual room or by groups of rooms. - Controls: Touch interface with volume up/down, previous/next track and play/pause. - WiFi: Connects to your home Wi-Fi network with any 802.11 b/g/n router. 802.11n only network configurations are not supported - you can either change the router settings to 802.11 b/g/n or connect a Sonos product to your router. - Ethernet ports: Dual Ethernet ports can connect Amp to a wired home network and allow for connection of additional Sonos players. - System requirements: Passive (non-powered, non-amplified) speakers. Broadband internet in your home. All Sonos products include a 1 Year Australian warranty.